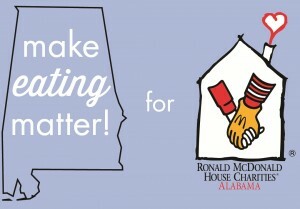 RMHCA is happy to announce our first Make EATING Matter Fundraisers this Spring!! We have partnered with several great restaurants around town and are asking YOU to get out there and help us raise some awareness and funds! So you go to the participating restaurant on the designated day, you eat great food and the restaurant donates a portion of your bill to RMHCA. 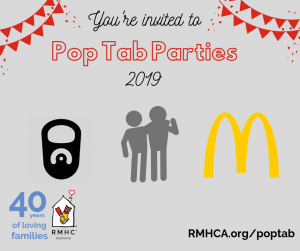 Note that many of these restaurants are participating at select locations only and/or require flyers/codes before they donate a part of their proceeds to RMHCA. Click on the name of the restaurant you are interested in to get the details and join the events on Facebook.